In A Battle Between Trump And The Federal Reserve, Who Really Wins? Another bubble? Bring it on! The Oscars – Worth Their Weight in Gold? Top money manager, John Ing recently presented to China his forecast for $2,200 an ounce. Our guest is bullish on gold, in the LT. Bob Hoye notes that during every previous post bubble contraction, the real price of gold has ascended, making the PMs a solid portfolio asset, today. Although the Greenback remains relatively strong, eventually the senior currency will be overcome by an inflationary economic maelstrom. Dr. Paul makes another great argument in support of the gold standard, sound money and how our money is directly tied to our lives. If you have the ability to move about, freely, conducting business anonymously then you are truly free. Until that happens we are nothing more than an ATM for the government and the corporate masters that own everything. Those banks are grossly overvalued by "financial engineering"
Forces loyal to the Assad regime have made considerable gains in recent months. On the surface this appears to be reflected on the Syrian stock exchange – but all is not as it seems. Despite enduring more than half a decade of conflict leaving an estimated 400,000 dead and 11.4 million displaced, Syria retains an active stock market. Established as part of a programme of economic reforms, the Damascus Securities Exchange opened its doors in 2009, two years before the onset of the crisis. Not only does the market continue to function despite the conflict, if data published daily on the exchange’s website is to be believed, last year was its most active on record in terms of volume of trades and 2017 looks set to be busier still. While under ordinary circumstances, such data might be interpreted as suggesting renewed confidence in the economy; the circumstances in Syria are far from ordinary and analysts say activity on the exchange are largely the product of a fiction. The Syrian pound has fallen dramatically since the start of the conflict. In 2010, you would have needed just shy of £50 to buy $1; today you would need more than £500 to get your hands on $1. Additionally, Leenders points out, there are only about half a dozen stocks that are actively traded on the exchange. Almost all of them are subsidiaries of foreign banks. Rashad al-Kattan is a graduate of Damascus University. Now based in the UK, he works as a risk analyst and holds a fellowship at St Andrews University’s Centre for Syrian Study. Having previously worked for Lebanese-owned banks in Syria, the bulk of his academic research focuses on his homeland’s banking sector and stock exchange. Al-Kattan recounts how his former colleagues who were once employed by the corporate services department of their banks are now in the loan recovery department, which he says reflects the reality that – for the time being, at least – profit generation has all but ceased within the banks and in its place is loss reduction. While attempting to identify their few remaining borrowers able to repay their loans is one way of attempting to reduce their losses, al-Kattan says a more efficient and insidious technique is also being employed. The banks in question are, of course, obliged to submit quarterly reports and statements, which contain these fictional profits. But if the valuation of the banks is so inflated, why would anyone bother to invest in them? One answer, according to Kings College’s Dr Leenders is that both bankers and investors haven’t got anywhere else to go. And while both Leenders and al-Kattan agree that the Syrian economy is in tatters, there are some causes for optimism for those who have bet their money on it recovering. The rebound in trading on the Damascus Securities Exchange does coincide with the arrival of a large amount of Russian air and ground forces in Syria, and the re-capture of Aleppo by regime-aligned forces in December coincided with a massive uptick in trades on the exchange in the last quarter of 2016. Although hopes of an uptick in aid might be not be realised as soon as those banks would hope. The Syrian minister of economy announced recently that any reconstruction contracts awarded to foreign companies would be contingent upon apologies from Europe and the US for their role in the conflict, the Syria Report said this week. Another indication that perhaps things may be on the verge of looking up for Syrian investors is that the construction of a 701 megawatt power station south of Damascus by Athens-headquartered international engineering firm Metka is reportedly nearing completion. On Wednesday, Syriatel – one of the country's two mobile phone service providers, headed by the president Bashar al-Assad's maternal cousin Rami Makhlouf – signed an agreement with the exchange to list its shares publicly. Al-Kattan, too, does not believe the economic situation is going to get any worse: “Generally speaking, I don’t think the Syrian pound will suffer more. I think in the next few months it will improve and might even go back to 400 [per dollar] with foreign cash injections,” he says. But in terms of the stock exchange’s viability, he is not so optimistic. With 90% of the population dependent on foreign or government aid for survival and less than a fifth of the population even holding bank accounts, the exchange will continue to find itself with a limited base of investors, he says. Representatives of the Damascus Securities Exchange acknowledged but did not respond to multiple requests for comment. Syria's stock exchange is far from being built on solid foundations. What was until recently was a real-life reincarnation of the move "The International", just got a double dose of "The Rock" thrown in for good measure. When yesterday we shared the most recent update in the bizarre assassination of Kim Jong Nam, the half brother of North Korea's ruler, who was murdered in broad daylight inside Kuala Lumpur's budget airline terminal, we reported that while the two women suspected in the fatal poisoning attack had coated their hands with "mystery" toxic chemicals which they then wiped on Nam's face, a key question remained unanswered, namely what was the poison used to by the woman with the "LOL" shirt used to murder the North Korean scion. As CBS reported previously, experts routinely tasked with finding answers in poisoning cases were stumped: what substance could have been used to kill the victim so quickly without sickening the women who apparently deployed it, along with anyone else nearby? Difficult, they said, but doable. "It's not an agent that could be cooked up in a hotel room. It's going to take a lot of knowledge regarding the chemical in order to facilitate an attack like this," said Bruce Goldberger, a leading toxicologist who heads the forensic medicine division at the University of Florida. He said a nerve gas or ricin, a deadly substance found in castor beans, could be possible. A strong opioid compound could also have been used, though that would likely have incapacitated the victim immediately. "It would have to be cleverly designed in order to be applied in this fashion without hurting anyone else," Goldberger said. "The more unusual, the more potent, the more volatile a poison is, the less likely it is to be detected," said Olif Drummer, a toxicologist at Australia's Victorian Institute of Forensic Medicine who has spent 40 years in the field. Khalid said the women knew they were handling poisonous materials and "were warned to take precautions." Surveillance footage showed both keeping their hands away from their bodies after the attack, he said, then going to restrooms to wash. Such details are unclear in video footage that has been released to media. Well, moments ago the Malaysian police provided the answer, when it reported that the chemical substance used to kill Kim Jong Nam last week was the nerve agent right out of the movei "The Rock" called VX, which happens to be listed as a weapon of mass destruction by the United Nations. Khalid Abu Bakar, Malaysia's inspector general of police, said Friday in a statement that identification of the substance came from a preliminary report. He said swabs were taken from the eye and face of the victim. VX is described by the US Centers for Disease Control and Prevention as "the most potent of all nerve agents", with a large dose leading to loss of consciousness, paralysis and respiratory failure. Its only known use is as a chemical warfare agent. VX is banned under the UN Chemical Weapons Convention, to which North Korea is not a party. The nerve agent, also known as ethyl N-2-Diisopropylaminoethyl Methylphosphonothiolate, was developed in the UK in the 1950s. As the FT further adds, Malaysian police are seeking at least four North Korean suspects in connection with the murder, who are now believed to be back in Pyongyang. Two other North Korean nationals, including a diplomat in Malaysia, are wanted for questioning. Police have detained a Vietnamese woman, an Indonesian woman and a North Korean man in connection with Kim's death. The murder has frayed relations between North Korea and Malaysia, which this week recalled its ambassador from Pyongyang. In the aftermath of the fallout from North Korea's ballistic missile launch and alleged orchestration of Kim Jong Nam's murder, we reported earlier today that China, which last weekend announced it would ban all coal imports from North Korea, was preparing for "regime collapse" in North Korea, and would "take the necessary measures to safeguard national security in the event of the collapse of the neighbouring North Korean regime", a defence official said on Thursday. As a part of the increasingly obvious set-up of conservative movements by international banking interests and globalist think-tanks, I have noticed an expanding disinformation campaign which appears to be designed to wash the Federal Reserve of culpability for the crash of 2008 that has continued to fester to this day despite the many claims of economic “recovery.” I believe this program is meant to set the stage for a coming conflict between the Trump Administration and the Fed, but what would be the ultimate consequences of such an event? In my article 'The False Economic Recovery Narrative Will Die In 2017', I outlined the propaganda trap being established by globalist owned and operated media outlets like Bloomberg, in which they consistently claim that Donald Trump has “inherited” an economy in recovery and ascendancy from the Obama administration. I thoroughly debunked their positions and “evidence” by showing how each of their fundamental indicators has actually been in steady decline since 2008, even in the face of massive monetary intervention and fiat printing by the Fed. My greatest concern leading up to the 2016 election was that Trump would be allowed to win because he represents the perfect scapegoat for an economic crisis that central banks have been brewing for years. Whether or not Trump is aware of this plan cannot yet be proven, but as I have mentioned in the past, his cabinet of Goldman Sachs alumni and neo-con veterans hardly gives me confidence. In the best case scenario, Trump is surrounded by enemies; in the worst case scenario, he is surrounded by friends. Trump’s loyalties, though, are a secondary issue for now. The primary focus of this article is to discern whether or not a battle between Trump and the Fed will result in a net positive or a net negative for the public. My position is that any action against the Fed should have happened years ago, and that today, the Fed is nothing more than a sacrificial appendage of a greater globalist agenda. Meaning, conservative groups should be aware that a victory over the Fed is not actually a victory over the globalists. In fact, the globalists may very well WANT a war between the Fed and the White House at this time. First, some facts need to be established to counter the propaganda claims that the Fed is some kind of innocent victim of a rampaging President Trump or “misguided” conservative rhetoric. The latest extension of the Fed’s propaganda has been initiated, of course, by the mainstream media and liberals in general; you know, the same people that were applauding the (in some cases misguided) efforts of the Occupy Wall Street movement. With Trump’s negation of the Dodd-Frank Act, the media has been looking for any opportunity to assert that Trump is either acting to enrich his corporate friends or that he is an idiot man-child when it comes to matters of business and economics. This led to some sniping by Elizabeth Warren and Federal Reserve Board Chair Janet Yellen‘s testimony before congress last week. The argument? That Trump was wrong or “lying” when he said that Dodd-Frank had frozen loans from major banks. You can see the glee in media outlets over the stab; a recent article by Vanity Fair, which seemed to focus more on snide ankle biting of Trump than concrete evidence, is a perfect example. Now, in Trump’s defense (or at least, in defense of his position), Yellen is actually the one lying, here. While it is true that commercial lending has expanded, her claim that small business loans have improved is simply false. Even Bloomberg begrudgingly acknowledges that small business loans have fallen by at least 6% since the passage of Dodd-Frank. In Obama’s favorite liberal home-base, Chicago, loans to small neighborhood businesses declined by 49% between 2008 and 2014. In 2015, Yellen herself argued that small business loans were in decline because small business owners “don’t want loans anymore.” This is a bit like the Bureau of Labor Statistics arguing that over 95 million unemployed working age Americans should not be counted as unemployed in their stats because they really “don’t want a job.” It is an attempt to muddy the waters on the greater issue, which is that the U.S. economy is in considerable danger. You see, I don’t think Trump was debating that major corporations and banks were not receiving ample loans, I think he was primarily pointing out the disparity in small business loans and personal loans. Yellen and the mainstream media attempted to use one data point — commercial loans, to dismiss the entire debate over loan stagnation. The fact is, we all KNOW that major corporations and banks have been flooded with ample loans, and much of this capital was conjured out of thin air by the Fed itself through fiat creation and near zero interest rates. We know this because of the $16 trillion in loans made to companies around the world exposed by the revealing (but limited) TARP audit. We also know this because much of these loans have been used to inflate the stock market bubble for the past few years through endless stock buybacks that most companies never would have been able to afford otherwise. We also know that the mainstream investment world is aware of the importance of these loans because they started to panic as the Fed announced its ongoing program of interest rate hikes. So, again, the issue is not whether or not banks are lending, we know they are lending, they just aren’t lending to the people that need it most. I think Fisher was dishonest in his evaluation of the extent of the consequences of the Fed bubble and that a 10% to 20% drop in equities is an absurd underestimation. But setting aside the "little white lies", it is at least widely available knowledge that the Federal Reserve initiated a corporate loan free-for-all, knowing that the supposed benefits were limited in scope as well as in duration. They know that a crash is coming, and they have been stalling until they can find the right scapegoat to divert blame. That scapegoat is Trump, and by association, all conservatives. As far as Dodd-Frank is concerned, the act was supposed to be a primer for stopping destructive behavior in the financial sector, more specifically in derivatives. Yet, in spite of Dodd-Frank, banks like Citigroup are STILL bloated with derivatives after receiving at least $476 billion in taxpayer funds to stop them from going bankrupt for the very same irresponsibility. Dodd-Frank accomplished absolutely nothing in terms of what it was mandated to do. I believe the only true purpose of Dodd-Frank was to distract everyone from Ron Paul’s Fed audit bill, which was gaining major traction at the time. Liberals And The Fed Become Bedfellows? So, why does Trump’s undercutting of Dodd-Frank even matter? As outlined above, it is a propaganda point for the establishment to perpetuate the narrative that Trump is incompetent, that the people who support him are incompetent, and that when the economy does shift into greater crisis it will be his fault and the fault of conservatives. It is also a springboard for the Federal Reserve to “attack” Trump, as shown in Yellen’s congressional testimony. I also find it interesting that through the Dodd-Frank issue as well as others, leftists are being galvanized in support around the Federal Reserve, something that they probably would not have done a couple of years ago. This is all culminating in what I believe will become a titanic battle not only between Trump and Leftists, but also between Donald Trump and the Fed. But why would the establishment want to incite a conflict between the president and the central bank? This is something conservatives and liberty activists have wanted for decades — a president that would be willing to take on the Federal Reserve and expose its innards. The problem is, the time for the effectiveness of such an action is long gone. Auditing the Fed under Obama (an openly pro-globalist president) would have been a disaster for the powers that be. It would have thrown their entire agenda into disarray and killed any chance that they could complete what they call the “great global economic reset.” Auditing or shutting down the Fed under Trump is another matter. As I examined in detail with evidence in my article 'The Economic End Game Explained', the Federal Reserve has a shelf life. It has already served its purpose, which was to undermine the American economy and our currency system. The Fed will now begin deflating the bubbles it has engineered in stocks, Treasuries and the dollar through continued interest rate hikes and rolling out the over $4 trillion (official amount) on its balance sheet. The goal? Sinking America and reducing it to third world status over the course of the next several years to make way for total global centralization of economic administration, eventually leading to global fiscal management under the IMF and perhaps the BIS, and a global currency system; all while making conservative movements look like the monster behind the crisis. To summarize, the U.S. economy and the dollar are slated for a controlled demolition. The Fed will do everything in its power to prod Trump and conservatives into war with the central bank, because the Fed is now ready to sacrifice itself and the dollar’s world reserve status in order to clear a path for a new global system and ideology. The Federal Reserve is a suicide bomber. If this takes place as I predict then the international banks and the establishment elites will be able to lay the blame for the death of king dollar squarely at the feet of Trump and conservatives, and at least a third of the country (leftists) will buy into the narrative lock, stock and barrel because they desperately WANT to believe it. Remember, the tale being scripted here is that Trump is a rampaging maniac that does not know what he is doing. To be clear, I am not supporting the continuing dominance of the Fed, or the existence of the fiat dollar. What I am saying is that conservatives may just get what we have been wishing for all these years but not in the manner we had hoped. To counter this threat our list of targets must expand to meet reality. The delusion that the core problem is the Federal Reserve must stop. The Fed is a box store, a franchise in a chain of franchises, nothing more. If we do not also turn our scrutiny and aggression towards root globalist institutions like the IMF and the BIS as well as international banks, then our efforts will only serve to bolster the enemy we are trying to fight. In a battle limited to Trump versus the Fed, only the bankers will win. IMPORTANT NOTE: The following are wholesale, not retail, prices. To figure our retail selling price, multiply the "ask" price by 1.035. To figure our retail buying price, multiple the "bid" price by 0.97. Lower commissions apply to larger orders, higher commissions to very small orders. NEW YORK -- Steven Mnuchin, U.S. Treasury secretary, said today that his staff have begun to look into issuing U.S. government debt with maturities of as long as 50 or 100 years. Mr. Mnuchin said he was not making any "formal announcement" on whether the Treasury would issue longer-dated bonds but he had "already begun to talk to staff" about it. This builds on earlier comments made before he took office that he was open to the idea. President Donald Trump signaled today that he wants to keep the U.S. dollar's value lower to aid American companies selling products abroad. In a candid exchange with Doug Oberhelman, Caterpillar's chairman and former CEO, Trump said that when the dollar rises "and we let other people manipulate their currencies, that's the one thing that stops you." This post Biggest Threat to Dollar Standard appeared first on Daily Reckoning. One blue day, they said, foreign central banks — primarily China's — would start unloading their hoards of U.S. Treasury debt. Reams of dis-Oriented greenbacks, orphaned and paupered, would be turned out upon an unwelcoming world. That would cause the dollar to plunge… interest rates to soar… and markets to free-fall. If we had just one nickel for every time we heard that harrowing tale. Brother! But the Cassandras prove it's possible to be both right… and wrong. True, the world's central banks have been selling U.S. Treasuries at a galloping clip. As Jim Rickards notes, "The net selling applies not only to China, but also to Japan, Saudi Arabia and other large holders of U.S. Treasury debt." The trend is clear — and ominous. But why the selling? China is dumping debt to prop up its currency. Saudi Arabia is dumping debt to cover its fiscal deficits resulting from the drop in the price of oil. Other smaller holders are simply diversifying out of dollars into euros and gold for prudential reasons. No grand conspiracy against the dollar here. Just good old-fashioned economics. And wasn't that mass selling supposed to crash the dollar… send interest rates soaring… and markets free-falling? Not only hasn't the dollar crashed. It's risen more than 25% against a basket of major currencies since the start of 2014. The Dow, S&P and Nasdaq run at record highs these days. It turns out the world is hardly an unwelcoming place for orphaned dollars. In fact, most any orphaned dollar finds a loving home. Willing buyers have been on hand for the Treasuries China, Japan, Saudi Arabia and anyone else is selling. According to data from Treasury International Capital (TIC), the public is snapping up about $70 billion of Treasuries a month. And foreign private investors increased their holdings by $233 billion between August 2015 and November 2016. As Bloomberg reports, "To a large degree, official selling has been offset by private investors." And so the great Treasuries sell-off by foreign central banks hasn't been the hell Cassandras thought. Much like all the money printing since 2008 hasn't led to the hyperinflation many thought. Markets teach nothing if not humility. Inflation is beginning to find its legs again. The latest report from the Bureau of Labor Statistics shows that year-on-year inflation runs at 2.5% — the largest gain since March 2012. Cleveland Fed President Loretta Mester said yesterday that inflation is "moving up, and the forecast says that’s going to continue." If U.S. inflation starts to take off and creditors begin to lose confidence in the value of U.S. dollar debt, the trend toward net selling of Treasuries could turn into a stampede. The Fed would then have to raise interest rates — royally — to attract buyers. But that would kill the "recovery." It could even plunge the economy into depression. The other possibility is that the Treasury will secretly order the big U.S. banks to buy whatever Treasury debt foreign investors don't want. That "could work," says Jim. "But it also means banks will have less room on their balance sheets for commercial lending." Commercial lending fuels the economic engine. So even if it "works," it comes at a dear price. The iron laws of economics will have it no other way. Either way, the curtain may be falling on the dollar standard. 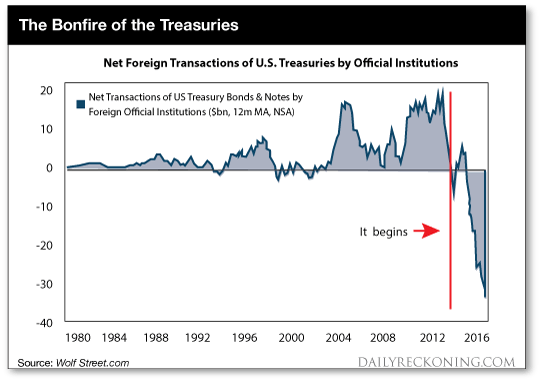 Will all those Treasuries end up back in foreign central banks one day? The trend suggests it's unlikely. Revisit the chart above and form your own conclusion. The world gets a new monetary system every 30 or 40 years. The last began in 1971 when Nixon closed the gold window and the world went on the dollar standard. But at 45 going on 46, that same dollar standard goes on borrowed time. The only question is how much time. The post Biggest Threat to Dollar Standard appeared first on Daily Reckoning. This post The Biggest Financial Story in the World Today appeared first on Daily Reckoning. The biggest financial story in the world today is not Fed policy or emerging-market debt. The biggest story is the global dollar shortage. The reason the dollar shortage is the main event is that it affects all of the others. If dollars are in short supply, China can't control its currency, emerging markets can't roll over their debts and the Fed cannot pursue its plans to tighten monetary conditions without making the situation worse. The global dollar shortage is the 800-pound gorilla in the boardroom of the international monetary elites. Many observers are surprised to hear there's a dollar shortage. After all, didn't the Fed print almost $4 trillion to bail out the system after 2008? Yes, but while the Fed was printing $4 trillion, the world was creating $100 trillion in new debt. When those debt holders want their money back, $4 trillion is not enough to finance $100 trillion, unless new debt replaces the old. We may be getting close to the end of the new debt cycle. That's what causes a global liquidity crisis. Where's the evidence for the global dollar shortage? China is a good example. The two greatest threats facing capital markets today are the global dollar shortage and the looming insolvency of China. These two threats are intimately related and are pointing to a global liquidity crisis far worse than the one that occurred in 2008. Lifetime wealth can be made or lost playing this crisis correctly. Despite the magnitude of this threat, the analysis is as easy as 1-2-3. That expression neatly describes the crack-up coming in China. Simply think of 1-2-3 in trillions and you'll see why. $3 trillion is the approximate amount of hard currency reserves held by China today. $2 trillion is the amount of those reserves that are either illiquid investments in private funds, or needed by China to bail-out their banking system. $1 trillion is the amount left over to defend the currency. Three minus two equals one. Easy. Why does China have to defend its currency at all? Because they are trying to satisfy both the United States and the International Monetary Fund (IMF) that their currency, the yuan (CNY) is a reliable store of value and not a disappearing act like the Turkish lira or the Mexican peso. The U.S. has complained for years that the yuan is deliberately undervalued to promote Chinese exports. Donald Trump recently told The Wall Street Journal that the dollar was "too strong," and "Our companies can't compete with them now because our currency is too strong. And it's killing us." Trump also said the yuan is "dropping like a rock," and recent strength in the yuan is orchestrated by China, "because they don't want us to get angry." The truth is that the yuan was kept artificially low from 2007 to 2010. The purpose was to promote Chinese exports at the expense of U.S. jobs. But, beginning in 2011, the dollar weakened significantly and the yuan rallied from about 8-to-1 dollar to almost 6-to-1. This strong yuan phase is now over. From 2011 to 2017, there was enormous downward pressure on the yuan and it has fallen back almost to 7-to-1. Part of this weakness was due to Chinese government intervention in August 2015 and December 2015. Lately the downward momentum in yuan has been market driven by capital flight. The Chinese have recently been using reserves to prop up the yuan. Trump is right that these Chinese efforts to prop up the yuan have only been to appease the U.S. during the election cycle and a delicate transition. The overall downward trajectory is intact despite official efforts to prop up the yuan. The IMF is another constituency China must appease. The IMF designated the yuan a global reserve currency as of October 1, 2016. The IMF is not overly interested in whether the yuan is too high or too low. Their main concern is currency stability, and that movements in the USD/CNY cross rate not become disorderly. China's recent efforts to prop up the yuan can be understood as an effort to satisfy the IMF. They are trying to show that they are living up to their obligations as the issuer of a major reserve currency. Whether China is propping up the yuan to satisfy the U.S. or the IMF doesn't matter. What matters is that China can't afford it. The way China props up the yuan is to buy yuan for dollars taken from their reserves. Once the dollars start to run out, the yuan will go into free-fall. That's what's been happening. China is a net importer of energy and uses its hard currency reserves to pay for those net imports. China is attempting to substitute the yuan for dollars in payments for imported oil, but that's a slow process. The dollar is still the dominant currency in the oil market. This means China has to continue to bleed dollars in order to receive oil. Now China's problems just got worse. Their oil fields are drying up and they can't profitably open new ones at current low oil prices. This increases the amount they have to import, which increases the drain on dollars at a time they are already going broke. China needs the oil, so they'll have to cut back on other imports, which hurts their economy, or devalue the yuan to reduce the drain on reserves. Of course, China will not actually go broke. Before they hit the critical level of reserves, they will implement a policy response. Under the "impossible trinity" analysis of economist Robert Mundell there are only three things China can do to stop the bleeding: raise interest rates, impose capital controls, or devalue the yuan. 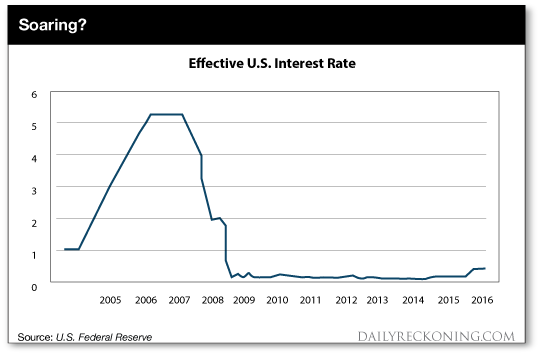 Raising interest rates is off the table. Chinese debt is already out of control and the government is struggling to achieve its growth targets. Exports are in decline. Any rate hike would pop stock and real estate bubbles, and cause deeply indebted state-owned enterprises to go bankrupt. This is happening anyway, but it would get a lot worse with a rate hike. China is imposing capital controls, but they are not effective. There are many legitimate dollar transfers that have to be conducted every day. Business people simply disguise capital flight as a business invoice and send the dollars out of China, draining Chinese reserves in the process. China's capital controls leak like a sieve and the bleeding continues. China could resort to more draconian measures, but that would impede legitimate capital flows and anger the IMF. An open capital account is another criteria for reserve currency status. China can't have it both ways. If they want to be a reserve currency, they have to aim for an open capital account and exchange rate stability. Right now, those two goals are in conflict. Something has to give. This leaves China with one and only one choice — cheapen the currency. They have been trying to do this in baby steps since December 2015. But this policy is counterproductive. Chinese citizens correctly read the tea leaves and see the yuan is going lower. This increases downward pressure on the yuan as people try to get their money out before it's too late. Speculators such as hedge fund king Kyle Bass are also betting heavily against the yuan. Occasional yuan rallies are just for show and to keep speculators on their toes. What's next for the yuan? The yuan devaluation is the easiest path and should happen as soon as Trump confronts China in the trade and currency wars. At that point, China will no longer need to play nice and the devaluation will happen. My expected case is that China will execute a "maxi-devaluation" of 10% or more overnight, sooner rather than later. That way, capital will stop leaving China and some foreign investors may decide it's time to invest there. This will stop the bleeding in the capital account. What does that mean for the U.S.? In short, it means the U.S. is losing its best customer for Treasury debt and will have to find other buyers in a hurry. The post The Biggest Financial Story in the World Today appeared first on Daily Reckoning. This post Now Comes the "Trump Slump” appeared first on Daily Reckoning. [Ed. note: With 40 years of experience both in Washington and on Wall Street, David knows exactly what Trump is up against — and that people are out to get him. It's still not too late, but time's running out. In his latest book, Trumped!, David explains how Trump needs to "make 10 great deals" to take back America from the swamp critters. Only then can American democracy be restored. If we had to mark it on a calendar… we'd venture that today's the day Wall Street started to realize the Trump economic agenda is much like Gertrude Stein's description of Oakland: "There is no there there." Before the market open, Treasury Secretary Steve Mnuchin went on CNBC and pledged the Trump administration's commitment to getting tax reform done before Congress heads back home for its late-summer break. "We want to get this done by the August recess," he said. "We've been working closely with the leadership in the House and the Senate, and we're looking at a combined plan." Sounds great! What are the details, sir? Sorry, no dice. "Look, as I've said before, we're primarily focused on a middle-income tax cut and simplification for business." No numbers, no discussion of what rules might be axed. Just more of the same feel-good pablum. The August timeline isn't something Mnuchin just pulled out of his posterior because it sounded good. He knows too well that Wall Street has constructed a fantasy in its collective mind about the Trump administration as a "Morning in America" rerun of the Reagan administration. Reagan was inaugurated on Jan. 20, 1981; the Kemp-Roth tax cut passed both houses of Congress by Aug. 4. That was a significant feat on its own. But the Trump administration has set the bar far higher… because the White House and Congress have agreed that Obamacare reform is supposed to get done before the tax bill. If Mnuchin had said something, anything, specific… the major U.S. stock indexes would be screaming still higher into record territory today. Indeed, they're all in the red as we write, the Dow off a tenth of a percent at 20,752. The small-cap Russell 2000 is off more than 1% at 1,388; that's the sound of traders hitting the "sell" button as they realize the next catalyst for growth in small stocks won't be coming from a tax cut. "It won't be long until the impending collapse of the post-election Trump-O-Mania frenzy in the stock market," says our David Stockman. David's been saying since early December that the Trump agenda is doomed and Wall Street's expectations will be dashed. He says so with the authority that comes from being "present at the creation" of the Reagan tax cut in 1981 — when he was White House budget director. We forgot all about it till today… but if you look on YouTube for "A Day With President Reagan," you'll find an NBC News special from Feb. 13, 1981; MSNBC reran it late the night of Reagan's funeral in 2004. 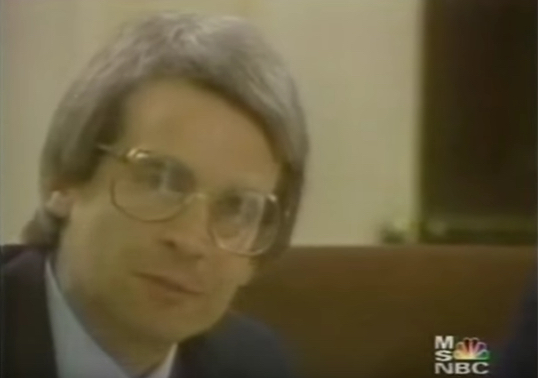 Midway through, there's a four-minute section with David drawing detailed strokes of a budget plan for Reagan's Cabinet, in office barely three weeks. It's striking to watch now… because it reminds us we've seen nothing approaching those specifics coming from Team Trump. Heck, it wasn't till seven days ago that the Senate confirmed the current budget director, Mick Mulvaney. "There is not a snowball's chance in the hot place that the frail GOP majorities on Capitol Hill will pass a giant Reaganesque tax cut financed with red ink," says David now. "Washington is at a fiscal dead end with a $20 trillion public debt already in place and $30 trillion baked into the cake by the middle of the next decade. And that's under existing policy, before even a single dime of the Trump tax cuts or infrastructure stimulus is added to the equation. "Without a FY 2018 budget resolution, there will be no 'reconciliation instructions' on tax reform. Without the latter, the Senate will become a 60-vote, filibuster-driven killing field for tax reform." That's serious enough… but in addition, "the Trump White House is already on the verge of a terminal political crisis," David declares. "After the travel ban fiasco, the Flynn resignation imbroglio, the massive anti-Trump leaks coming from the bowels of a hostile national security establishment and the renewed media campaign to re-litigate the 2016 elections over the Russian meddling canard, the incipient Trump administration is already mortally wounded. "The ruling elites are determined to take The Donald down, and whether they succeed or not, it is extremely probable that Washington will grind to a halt — Watergate-era style — by early spring. There will be no giant tax cut, but there will be a news flash at some point soon crystalizing that very fact. "Then the meltdown will begin, and the stock market will be bidless because all the robo-machines will be selling the news of breakdown, dysfunction, fracture and crisis in the Imperial City, not Donald Trump's 'hopium' tweets." The post Now Comes the "Trump Slump” appeared first on Daily Reckoning. Gold edged down to $1235.80 in Asia, but it then jumped to as high as $1250.90 in late morning New York trade and ended with a gain of 0.86%. Silver rose to as high as $18.217 and ended with a gain of 0.78%. Lost in the smoke of Orwellian propaganda is the absurd notion that the two "rate hikes" were a mere quarter of a percentage point in magnitude. This can hardly be described as "raising interest rates." It certainly is not even remotely close to the concept of "interest rate normalization," whatever that is supposed to mean. In mid-2007, about a year before the financial system nearly collapsed, the Fed Funds rate was 5.25%. A little more than a year later it had been dropped to near zero. Anytime the Dow makes a new high you can be reasonably assured of hearing the B-word bounced around in the media. Memories of the last bubble are still vivid and painful enough to trigger flashbacks of the bubble's collapse. It's only natural then that investors fear a return of irrational exuberance. Despite these fears, the evidence of a newly formed bubble is surprisingly lacking, as we'll uncover here. This post How France Could End the European Union appeared first on Daily Reckoning. The surge of Marine Le Pen and the political right in France could signal the end of the European Union and the evolution of the European project. Major elections will soon be held in the Netherlands, France and Germany – what some have argued will be the most divided and diabolical political environment Europe has had in decades. Since the major wars that divided the continent, the cosmopolitanism that brought divisions in Europe together are now under considerable opposition. Europe continues to face escalating influences from the Russian government, rampant economic inequality, unequal responsibilities of refugee influx and growing threats of terrorism. Nomi Prins, a former Managing Director on Wall Street and economic historian, says what all this means is that we should expect, "More QE manifestations from the European Central Bank, a weaker euro, more bubbles in major European stock markets and greater presence from conservative, protectionist politicians." The conservative, protectionist politicians that she highlights are making great strides currently in France ahead of April elections. While Brexit might chip away at the European experiment, France offers a petri dish of Euro-divisions between the far left and the surging right. European Commissioner for Economic and Financial Affairs Pierre Moscovici told CNBC, “I’m confident. I know my citizens and my compatriots well and know they are not going to elect a candidate who is proposing France exiting (Europe). That would be the end of the European project." If that sounds familiar, it could ring true to the type of narrative that was being heard in the U.S on various talk shows during the weeks and months leading up to Trump's victory. During the CNBC interview with Moscovic, who is considered the EU's tax chief, he held reluctance and outright opposition to the idea that France could elect Le Pen. However, he did offer up what that election would cast for the future of the European Union. “If Marine Le Pen comes in office, if she asks for a referendum on Frexit, what would Europe be about? Europe was founded precisely in order that France and Germany and others work together in a common project." But the reality is, these are uncertain times. French elections will be held April 23. The top two candidates will then will go through to a May 7 run-off French election. In a recent French poll, the first-round in the election would have Le Pen, the anti-euro candidate, ahead with 27% of the vote, where she has risen in poling lately. The next two candidates follow with 20% each and remain stagnant in polling. The poll also shows that in the second round Le Pen would currently lose 58% to 42%. However, there is still considerable time and opportunity between now and then. In February 2017, Europeans celebrated the 25th anniversary of the Maastricht Treaty being signed. Prior to that 12 nation major Treaty signing, Europe was in turmoil. The wounds of the Cold War were still fresh. The Berlin Wall had just fallen, Germany was still navigating reunification. Eastern European states were questionably shifting toward democratic governments. The reality is that the left wing French opposition candidates' lead over Le Pen has been cut in half over the past two weeks. Security fears and surging euro-skepticism, core issues attributed to the far-right party, are pushing the polls in France to much tighter margins. The unification of Europe, through the Maastricht Treaty, brought those economic and political divisions away from further conflict. If Le Pen, the National Front leader of the French right party, was to claim victory it could bring mass political and economic instability. Speculation is that the EU as it is known today would become extinct. 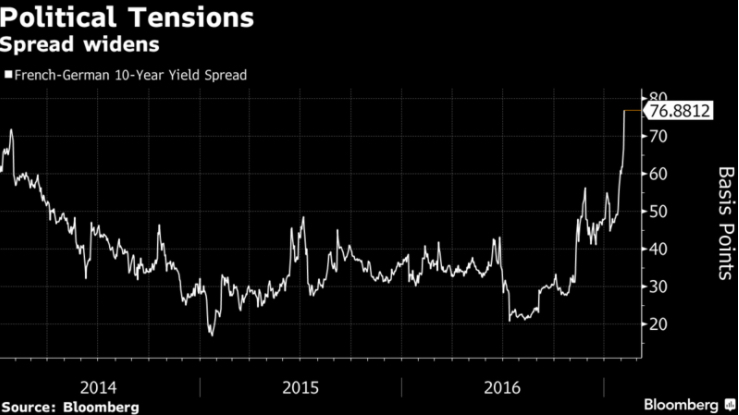 Those investors involved in European bonds have already shifted toward seeing safe haven outlets as political uncertainty mounts. Following Le Pen's party calling for an overall exit from the euro zone, trading of French bonds spiked and risk spreads have opened up considerable margins with German bunds. "A financial system that already suffers from weak net income margins and more than 160 billion euros in non-performing loans, would collapse as these bad loans escalate and the losses in the banks’ bond portfolios eat away their core capital." "This would inevitably lead to Greek-style capital controls and bank runs as the entities would lose liquidity support from the ECB." Under these outcomes, France leaving the euro currency could bring about the biggest sovereign securities default ever seen. This economic and banking turmoil could be the biggest negative impact and cause a global spillover. If France was to elect Le Pen and push for an exit of the EU, there would be no clean separation from the union and the U.K is attempting. Turning to Jim Rickards, author of the Road to Ruin, who continues to update his macroeconomic analysis on the situation noted that "Le Pen won’t win, but she’ll drive markets and media mad in the meantime." Rickards goes on, "I don't think Marine Le Pen will win in France. Because we've had so many shocks, people are getting set up for more shocks such as a potential victory of Marine Le Pen or a loss by Angela Merkel." Applying his forecasts and analysis Rickards' remarked he is taking the other side of the equation. "The shock will be that there won't be a shock, namely that mainstream parties will win in France and Germany." He warned cautiously that, "there are always other shocks on the horizon to pay attention to." Rickards' could not be more spot on in the media madness. But will he be right again after correctly seeing through polls and forecasting the Brexit vote and the Trump victory? While the Trump election and French politics are very different, the similarity in media messaging and skeptical polling cannot be ignored. Could France surprise the world? Could this be the end to the European Union as we know it? The post How France Could End the European Union appeared first on Daily Reckoning. The post The Only Reliable Gold And Silver Futures Are Shares In Mining Companies appeared first on Jim Sinclair's Mineset. VANCOUVER, British Columbia, Canada -- Golden Predator Mining Corp. (TSX.V: GPY; OTCQX: NTGSF) is pleased to report assay results for the first 13 holes of a total of 54 holes completed in the winter 2016 drill program at the 3 Aces Project in southeastern Yukon Territory. Drilling has demonstrated an extension of high-grade gold at the Ace of Spades zone, as well as the exciting discovery of a blind vein and the occurrence of significant assay values in stockwork zones. For a 10% percent discount, use the discount code "GATA"
This post 4 Flashpoints Where War with China Could Start appeared first on Daily Reckoning. In the world of geopolitics, broadly defined to include defense, military, intelligence, diplomacy and various the aspects of statecraft in the international arena often intersect with the world of global capital markets. The sphere of global capital markets include stock, bonds, derivatives, gold, commodities, foreign exchange, etc. These those two worlds are not completely independent, and often converge. The point of intersection is getting larger, as are the flashpoints. Think of it as two circles that start out apart. They get closer and closer. Well, suddenly they come together and there's an intersection. They keep converging and the intersection gets larger. It's actually difficult to think of an international economic issue that doesn't have a geopolitical aspect and vice versa. It is difficult to think of a major geopolitical issue that doesn't have some economic or financial aspect to it. It's important recognize that these are not completely separated worlds. These are two worlds that are converging where you cannot understand one without the other. The first thing is the number of hot spots in the world is growing. That means the potential for conflict and war, where a situation is sufficiently dangerous enough that you could not rule out a war. These threats include a shooting war with China, a military theatre with multiple dimensions from the battle space, a possible cyber war, or even a financial war. As I have written about prior, geopolitics and China have these regional convergences that continue to grow (CLICK HERE for prior further geopolitical analysis on China). 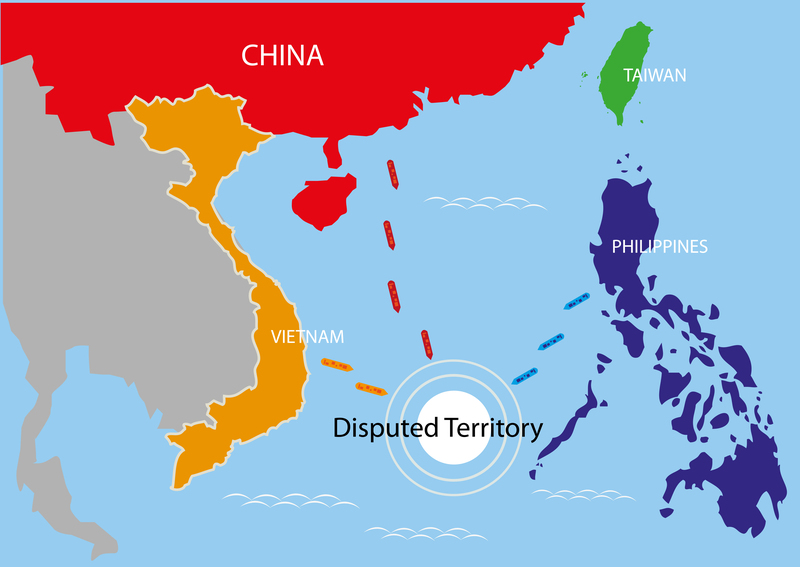 The South China Sea is an area of great importance. When just looking at the geographical area you'll see two things. First, it's a huge space. Second, it's surrounded by 6 countries, all of which have some claim on it, except for one. China claims, "We own the whole thing." They maintain a claim to the entire South China Sea. That means they've got potential confrontations with all the other states around it. There are two states in the region have the most potential for war with China. One is the Philippines and the other is Vietnam. The Philippines is an ally of the United States and holds a treaty between governments, meaning it's not just a regional power but an area where the U.S has long strategic interests in. The United States has a Mutual Defense Treaty with the Republic of the Philippines standing since 1951 that dictates that if either of our countries are at war, or attacked by an external force, we'll be in alliance. Newly appointed Secretary of State, Rex Tillerson has re-emphasized that commitment. With all of that in mind, we are not seeing China back down. The Chinese continue to build artificial islands, but they're not just creating islands they're constructing air strips on them and landing aircraft on them. While China only has one aircraft carrier, which is fairly primitive by our standards, they also have submarines and use these forces to patrol that region. The U.S. has now sent the USS Carl Vinson (CVN-70) is the third United States Navy Nimitz-class supercarrier, and its strike group to the region. Aircraft carriers don't travel alone. That battle group is now in the South China Sea ready to confront China and maintain U.S interests and international obligations. There's a real potential for war with China there. The second hot spot takes is further north to the East China Sea, located between the Sea of Japan and the South China Sea. 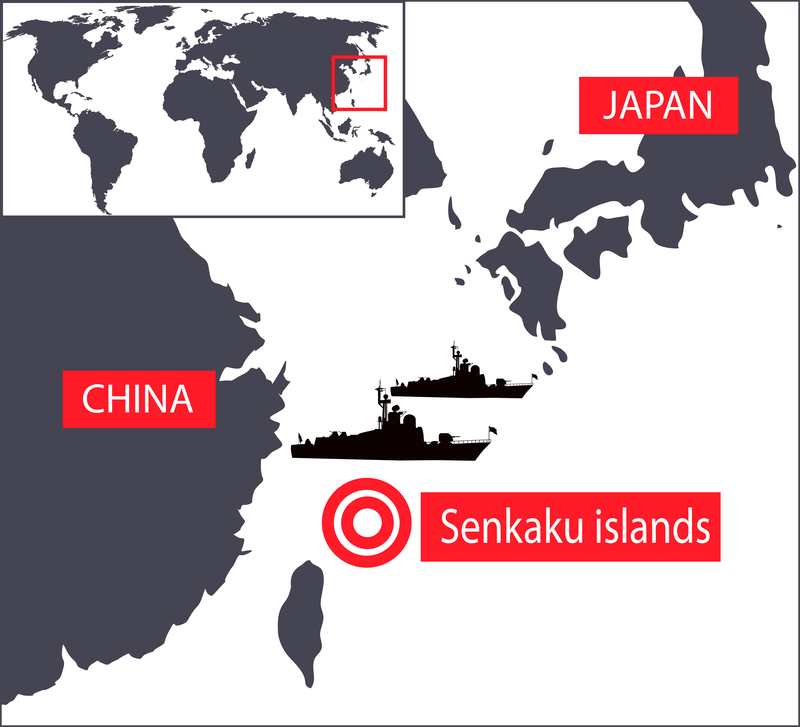 Where a flashpoint in the region is over a dispute regarding the Senkaku Islands. Those select islands are uninhabited but currently claimed by both Japan and China. They consist mostly of major rock formations but hold a significant amount of territory that is strategically located along major sea lanes. As of last year, the Chinese Navy has 303 naval combatant vessels that includes over 70 large combatants. To compare that, the Japanese Navy has an estimated 67 vessels. While the Japanese may have better technology, they have serious ground to make up. As the U.S. seems to be backing away in certain aspects, sentiment in Japan could push them toward a greater buildup of forces. The days of relying on the U.S. defense umbrella and not taking care of their own defense may be over. As China continues to be aggressive and expand, the expectation is for greater Japanese military growth. Another hot spot is North Korea. It continues to have various missile programs in continuation. One is intercontinental ballistic missiles, which are not fully developed but continue to get closer. The other is a short range and intermediate range missile technology. The third aspect that makes North Korea a hot spot is that they have exploded what are labeled nuclear devices which are not quite the same as nuclear warheads. It's just a small step being able to weaponize. That weaponization threatens the possibility of nuclear devices being created small enough to put in a warhead. As North Korea moves forward a real and serious threat brings the situation closer to the point of war. The question is will China help us out with North Korea? China recently announced that they're not going to buy any coal from North Korea for the remainder of the year. That's putting economic pressure to the North Korean government. This highlights a good example of how the economic and geopolitical world can come together. A fourth hot spot that not many are discussion is focused on India and specifically the Himalayas. China continues to expand its presence there. The Indians are very mindful of these strategic advances by China. To reference, India and China had a shooting war as recently as 1962 and a number of isolated skirmishes since. Currently, China is building a string of dams in Tibet to control those headwater in the region. This would allow them the ability to "turn off" the water in the Southeast region. All of these potential conflict regions have one specific thing in common. China has dangerous hegemonic ambitions. China may not want to take over the world, but they do want a sphere of influence that covers everything from the Western Pacific to Central and Southeast Asia. These are all major flashpoints and all have the potential for war. The post 4 Flashpoints Where War with China Could Start appeared first on Daily Reckoning. Lately, the Cartel has been throwing everything – including the kitchen sink – at Precious Metals; in silver's case, vigorously defending its latest "line in the sand," at the 200 DMA of $17.96/oz; and in gold's, at its 200 day and 200 MONTH moving averages, both of which are roughly $1,266/oz. And despite, as I mocked yesterday, the dollar index "rising" this week – due to heightened fear of a Eurozone breakup – they've been having an immense amount of trouble holding them down. LONDON -- The London Metal Exchange has reached a 50:50 revenue-sharing deal with a company founded by a group of banks to promote trade in its new gold futures contracts, sources said, aiming to overcome market scepticism surrounding their launch in June. Usually, exchanges merely consult potential users about their needs when planning new financial and commodity contracts. But in this case the LME has opted for a radical departure from normal practice as it tries to grab a piece of London's $5 trillion-a-year gold market. Sources close to the matter told Reuters that the five banks and a proprietary trader that are shareholders in the new company have undertaken to bring guaranteed minimum levels of trade in the gold futures. Should they meet these levels, the project partners will receive a half share of the revenue under an incentive scheme designed to ensure the contracts have turnover, viability, and credibility from the outset. GFG Resources has closed a CA$5 million bought-deal financing, securing funding for ongoing exploration at its flagship Rattlesnake Hills gold project in Wyoming. You are subscribed to email updates from Save Your ASSets First.